November 30, 2012 - United Parcel Service ("UPS") and TNT Express ("TNT Express") announced, in line with Dutch disclosure requirements, that remedies have been submitted to obtain competition clearance from the European Commission (EC) for the acquisition of TNT Express by UPS. 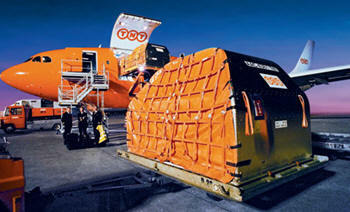 The offer of remedies does not change the terms and conditions of the Offer by UPS for TNT Express. The proposed remedies aim to address the EC's concerns regarding the competitive effects of the intended merger on the international express small package market in Europe. UPS and TNT Express continue to be fully committed to the merger and are working closely with the EC in order to gain competition clearance allowing completion of the transaction in early 2013. As part of the approval process, the EC will market-test the remedies on a confidential basis. The proposed remedies comprise the sale of business activities and assets in combination with granting access to air capabilities. Eligible buyers of these activities will have to ensure the long-term viability of the divested activities and continuity of customer service. In accordance with EU Merger Regulation, the timing of the remedies submission extends the EC's review period by 15 business days to 5 February 2013. UPS is making the Offer on the terms and subject to the conditions and restrictions contained in the Offer Memorandum, dated 21 June 2012. TNT Express has also made available the Position Statement, containing the information required by Article 18, paragraph 2 and Annex G of the Decree in connection with the Offer.